Sabrina Watson (Paula Patton) and Jason Taylor (Laz Alonso) might be the perfect couple, but unfortunately for them, their families are a perfect recipe for disaster. Mrs. Watson (Angela Bassett) has an upper-crust sensibility that matches her family’s Martha’s Vineyard estate, where Jason’s straight-out-of-Brooklyn mom (Loretta Devine) seems utterly out of place. When the families gather for Jason and Sabrina’s wedding, it becomes clear that each side has its traditions… and its secrets. When uptown meets downtown, the truth comes out – and only one question remains. Will this couple endure the hysterical and harrowing trials of love and finally jump the broom? 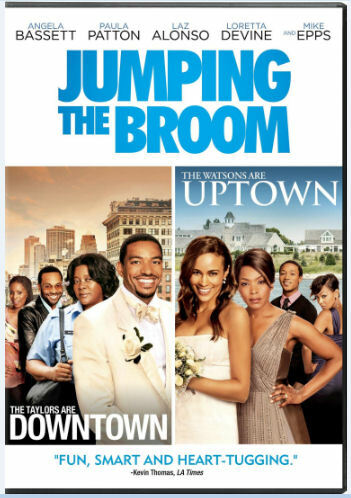 Jumping the Broom is out today, Tuesday, August 9, 2011 on DVD and Blu-Ray. Don’t forget to check out these fun quizzes to see who your perfect man is or if you can handle your family drama.